Top of the pile for general handling gloves is the Portwest Green Latex Grip Gloves A150GN, which are designed to excel in general handling environments. 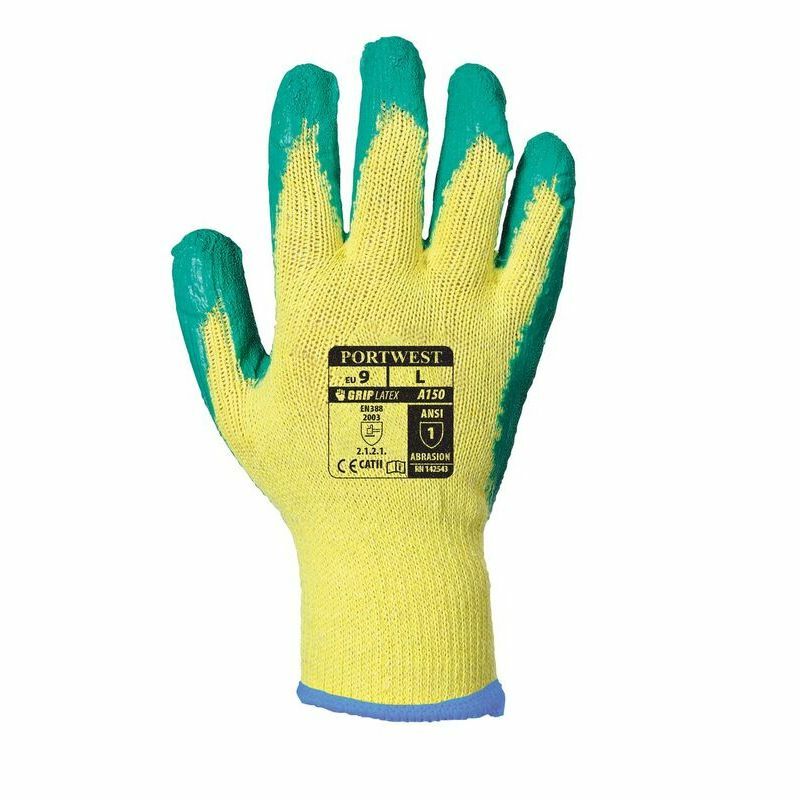 Extra grip is ensured by its palm dipped design, while their polyester and cotton liner provides long-lasting comfort, meaning that they can be used for extended periods without hand fatigue. 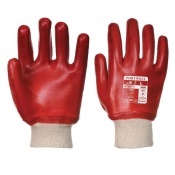 The Portwest Grip Gloves feature a crinkle latex grip coating that looks to enhance grip in all conditions while ensuring excellent dexterity. This is supported by their thin 10 gauge liner that enhances sensitivity, making general handling easier for the user. 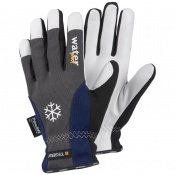 The Portwest A150GN Grip Gloves are available in four sizes that should be suitable for most users. To find your perfect pair, please measure the circumference and length of your palm and match the results to the table below.